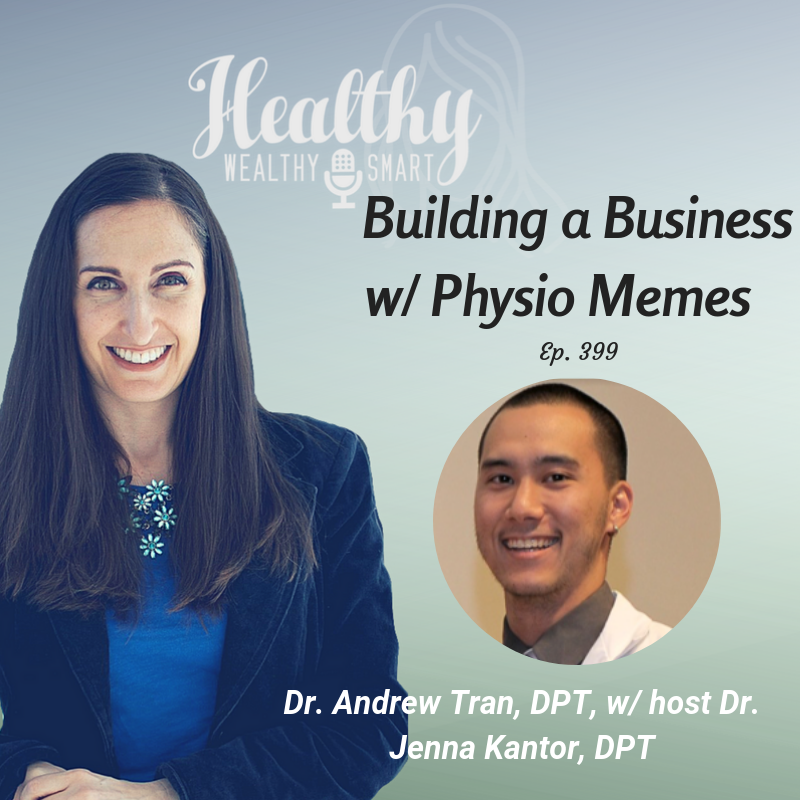 On this episode of the Healthy Wealthy and Smart Podcast, Jenna Kantor, DPT guest hosts and interviews Dr. Andrew Tran, DPT on building a business from memes. Andrew Tran is a Physical Therapist who has worked in a variety of settings as a new grad. From travel PT, to Skilled Nursing Facility, outpatient ortho, and starting his own practice in his first two years. He is the founder of Physio Memes, LLC with the goals of connecting Physios globally via humor and merchandise to proudly represent our profession. Also, owner of Transcend Health, LLC which is an outpatient private practice with the vision to create a healthy, empowered, and educated community to build a life of resilience. Andrew Tran is a Physical Therapist who has worked in a variety of settings as a new grad. From travel PT, to Skilled Nursing Facility, outpatient ortho, and starting his own practice in his first two years. He is the founder of Physio Memes, LLC with the goals of connecting Physios globally via humor and merchandise to proudly represent our profession. Also, owner of Transcend Health, LLC which is an outpatient private practice with the vision to create a healthy, empowered, and educated community to build a life of resilience.